It’s impossible to think about Sergio Leone’s classic spaghetti westerns for more than a split-second without Ennio Morricone’s unforgettable scores coming to mind. His amazing earworms are as much a part of The Good, the Bad and the Ugly, A Fistful of Dollars and For a Few Dollars More as are Clint Eastwood, Eli Wallach or Lee Van Cleef. The music accompanying Once Upon a Time in the Old West plays a pivotal role in creating the movie’s underlying pathos. However, some people aren’t fans of westerns. I know. It’s hard to believe. Those poor folks (and you might be one of them) may not be interested in sitting through few hours of barren landscapes and gunfights. If that’s the case, they’re missing some of Morricone’s best work. 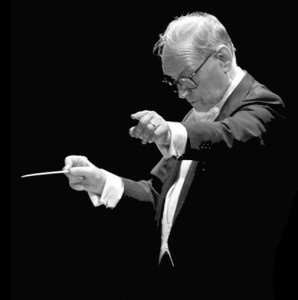 However, one can still get an idea of why Morricone is one of the all-time greatest movie maestros by watching a few of the many non-western films to which he contributed. Roland Jaffe’s 1986 ode to Liberation Theology features solid performances by Robert De Niro and Jeremy Irons along with some of the most impressive, lush cinematography you’ll ever see. This tale of an Amazon mission, a slave hunter seeking redemption and the political machinations of the 18th century is also a Morricone showcase. You can’t watch this movie without humming its tunes for a few days. Kevin Costner and Sean Connery are G-Men hell-bent on bringing Robert De Niro’s Al Capone to justice. This 1987 Brian De Palma movie was a huge box office success and showed the Morricone was more than capable of producing a somewhat more traditional, yet still memorable theme. Critics remain divided over the overall merits of Sergio Leone’s long 1984 American gangster movie, but no one seems dispute the power of Morricone’s score. The music isn’t as groundbreaking as the spaghetti western themes, but it has a great presence that helps propel the movie forward. If you want to experience the best Morricone has to offer, sit down and spend some time with “the man with no name” as he smokes cigars and shoots his way out of trouble in the Leone spaghetti westerns. If you can’t bring yourself to do that, you can still get a good idea of why so many revere Morricone.